I'm betting a few other WOYWWers have said this too, Wednesday already! Where have the last seven days gone? What's On Your Workdesk Wednesday seems to come round sooner every week. Could be I'm feeling the pressure now that it's only a few weeks to Christmas - so much to do, so little time. Still on the desk, at the back, is the card I was working on last week, and just to the left are the supplies used. It's finished now, of course. Very pink! 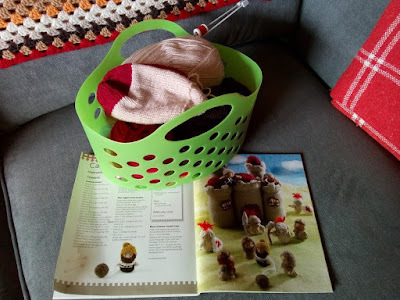 Sock knitting has had to be abandoned in favour of knitting this medieval castle. It's for a little boy who will, I hope, love playing with the little characters. Three towers done so far, two more to do and, of course, all those tiny people. My little trays of promise! 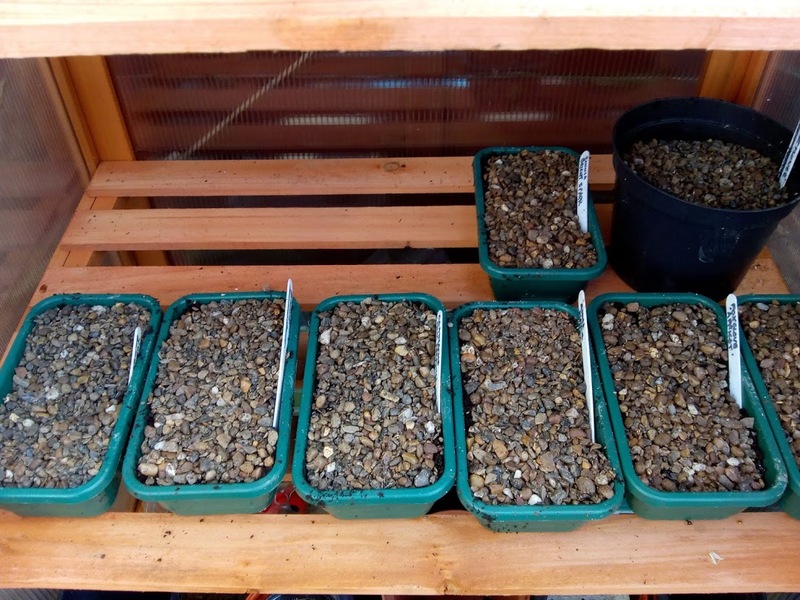 Clearing out a garden shed I discovered a box of old seeds and decided to sow them in the hope that some are still viable. Either they will grow or they won't but I figured I had very little to lose by trying. 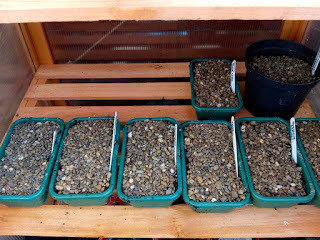 I could end up with a lovely lot of bedding next year. Finally, the book bit. 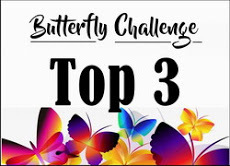 I've been bingeing on thrillers. After the Alan Turing book I needed something less academic although I can't call any of these light relief. 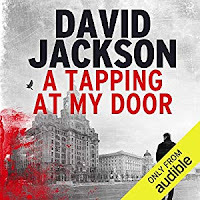 I can only describe David Jackson's 'A Tapping At My Door' as a grim read. A serial killer in Liverpool is murdering his victims in the most gruesome manner, and it becomes apparent to the detective assigned to the case that the threat isn't to the people of Liverpool - it's to the police. 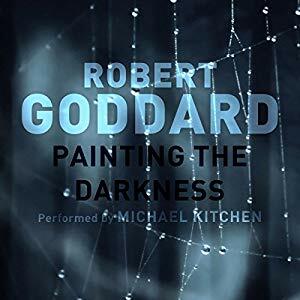 'Painting the Darkness' by Robert Goddard is a historical mystery set in the late 19th century. The audio book is read by Michael Kitchen, he of Foyle's War. He has the perfect voice for a Victorian tale. The story is full of the twists and turns and the ending is truly shocking. Elizabeth Haynes' 'Into the Darkest Corner' is a chilling psychological thriller about an abusive relationship and it's aftermath of OCD suffered by the main character, Cathy. 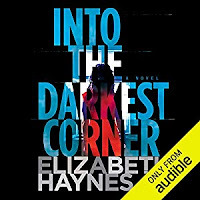 Elizabeth Haynes worked for many years as a police analyst and I think it shows in the way the book is written. I found this last book very hard to put down, as the EM would attest to should you ask him. It's the one that will stay with me for the longest time, that's for sure. 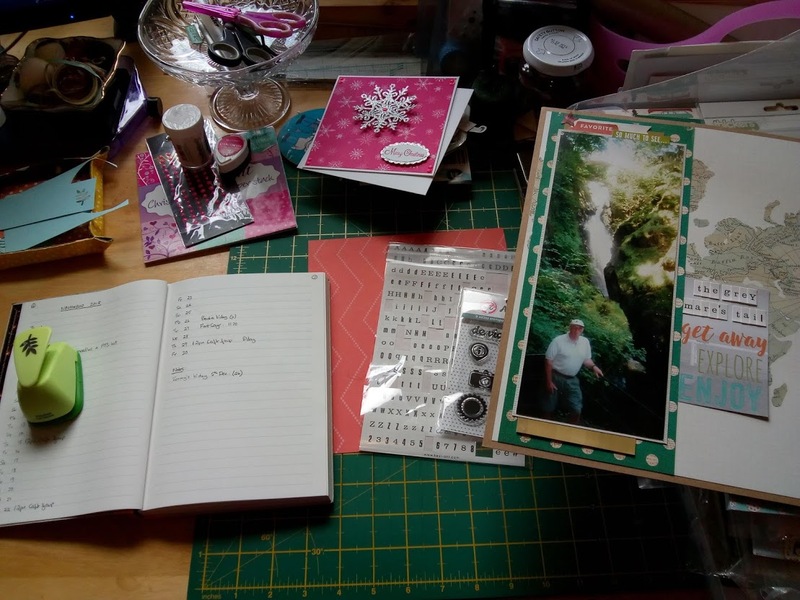 If you haven't participated in What's On Your Workdesk Wednesday before but fancy joining in the fun do pop over to the Stamping Ground where you can find all the information you need here. It's really too easy, post a photo of your desk, tidy or messy it doesn't matter, and add your link to all the others. It's fun, you'll see. 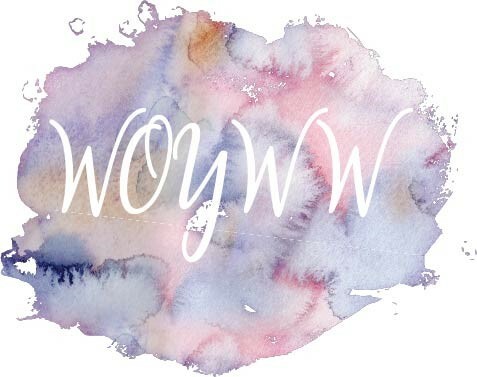 In the meantime, have a very happy WOYWW and a great week ahead. Hello my friend. Firstly I must say sorry for not commenting on your Friday post. I did read it but to be honest I have had a particularly painful few days with this b***** sciatica and sitting at the lap top really hurts. Even sitting to sew is more than I really want to do so I've done the bare essentials only. I'm doped up to the eyeballs with pain tablets so lets hope it eases soon. I have an appt with the Dr next Thursday so will see what she says if there's no improvement. I love the trays of promise in your garden....fingers crossed. That knitted castle looks amazing, I've never seen that pattern before. Knitting all those separate elements must make it feel as if you're achieving something bigger than the whole! I've just started a jumper for G, I'm enjoying it but don't adult sleeves seem to take forever?! I'm going to pass on your book tips this week as I'm the world's biggest wuss and hate anything scary!! Oh happy memories Elizabeth, my Mama knitted several dolly houses and a nativity and they were incredibly loved and well played with. Indeed, the nativity set is lined up to sit on her window sill in the care home this year. Serious love, knitting those! 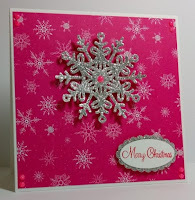 I like the pink of the Christmas card, a removal from traditional is absolutely no bad thing at all, it’ll stand out beautifully on the recipient’s mantelpiece! Great idea with the seeds and I just love love love the castle. What a fabulous present full of love in every stitch. The books sound good - not sure if the other half has read the Robert Goddard one, he is a fan - now I am contemplating the other two - certainly up my street.